Look out mini cheeseburger vacuum.... the popcorn bucket is vying for your job. 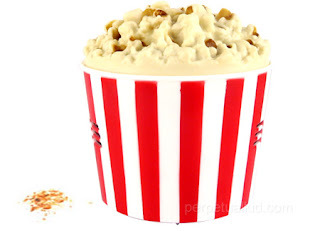 Yes, apparently this bundle of horribly rendered fake kernels is a crumb vacuum. Who knew? Who comes up with this stuff?! Weird indeed!